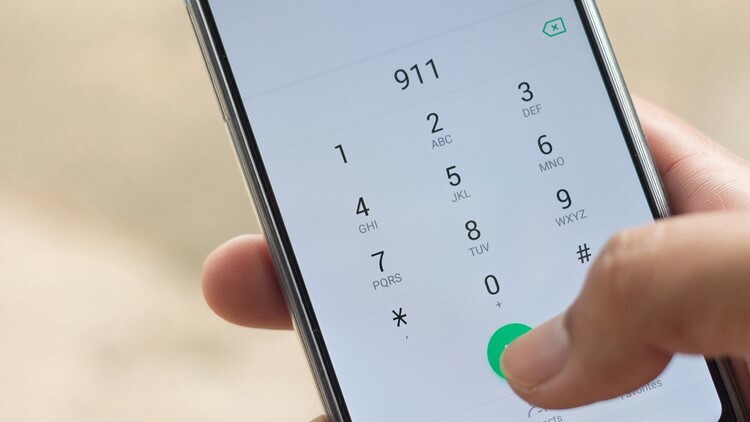 Emergency and urgency, dialing 911 on a smartphone screen. The baby was born one minute after Pasco County 911 received the call. It didn't matter how close the parents were to the hospital -- the baby was ready to be born. Thanks to the guidance of a 911 operator out of Pasco County, a healthy baby girl was born in a grassy area near a Walgreen parking lot by State Road 54 and Wesley Chapel Blvd. Pasco County officials said around 9:45 a.m. Friday, 911 operators got a call about a 28-year-old in active labor while she and her boyfriend were driving to the hospital. While on the phone, it was determined that the woman's contractions were less than a minute apart. When the boyfriend pulled over into the parking lot, the 911 operator guided the man through the birthing process and then instructed him how to care for the newborn until fire rescue crews arrived. Officials said the baby was born one minute after the call came in. The baby and her mother was taken to Advent Health in Wesley Chapel and are in good health.